Being a crew member in the entertainment industry is extremely exciting, fulfilling and enhancing. But with this, you need to accept certain compromises too. Long hours at shoot and focused work prevent you from looking at your diet and health. We totally understand your concerns and have a set of tips, right here, while at long shoot days. Well-toned arms, flat abs, all and all, a healthy interior and exterior, all for you. Make sure you consume small to average quantities of food, at any given point in time. During extensive shoot days, one tends to get just a lunch and dinner break. This should not dominate your food intake. Continue sipping or munching on nuts, fruits, salads and other filling items, throughout the day. Yes, if given a choice, modest portions is the ideal scenario. But say for whatever reason you are unable to eat regularly, DO NOT starve yourself. Consume 2 plates at lunch, if you have to. At the same time, do not over eat as that will make you feel sluggish and will negatively impact your work. More often than not, shoots require you to dedicate late evenings and nights to your work. In such scenarios the tendency to binge eat until wee hours, is prevalent to a great extent. Breathe in, practice self-control and stay away from eating any kind of junk at that hour. This compromise from your end will do wonders to the way you look and feel. Craft services usually look at just filling the crew member’s stomachs. Probably it is time you go ahead and speak to them regarding your health and fitness concerns. If there a particular dish you like or want them to use healthier alternatives, SPEAK UP! If a group of you feel the same way, they will be more than happy to introduce healthy options. As we all know, water keeps us well hydrated. But more than hydration, what plays core for you as it gives you energy to sustain all day. In the entertainment industry, every extra bit makes a huge difference. Why take that away? By this we mean, consume food items that comprise of water. 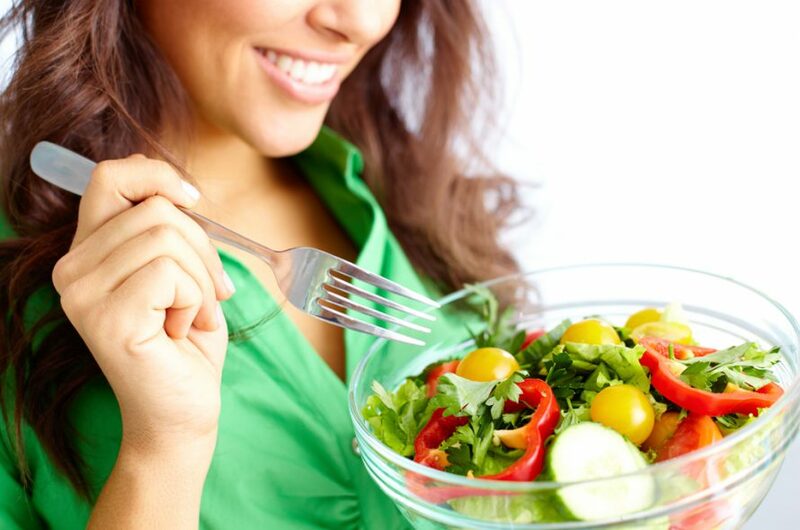 In this manner you will remain full, take in lesser calories, as well as, exhibit flawless and glowing skin. All positives! Lettuce, watermelon, broccoli, grapefruit, milk, orange juice, carrot, apple and yogurt should be your best buddies. The film industry can literally own its own brand of a coffee shop. Coffee gives you the strength and stamina to survive it all. So you’re safe to have that cup of coffee first thing in the morning when you arrive on set location, but limit it to a Short instead of a Venti. It may seem hypocritical to eat more, when the fad says eat less to remain fit. Believe it or not, but a well-portioned breakfast will boost your energy and uplift your mood for the entire day. Why miss such a golden opportunity? We totally understand that this industry requires you to be on your toes, but please remove 30 minutes from your daily schedule whilst consuming lunch. Sit down, relax, bask in personal peace and let go of any stress. This will prevent any kind of weight gain too. It’s not easy to stay fit in the midst of a shoot. The stress, pressure, and chaos of a production scenario can sometimes lead to overeating, under-eating, or just eating junk food in general. Follow these few simple steps and you will always look & feel your best.